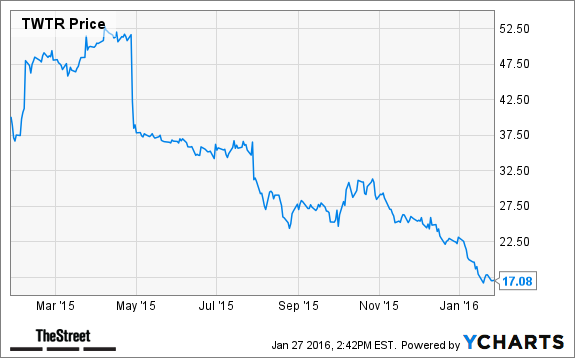 Jim Cramer -- Will New CMO Turn Things Around at Twitter? It's unlikely that Twitter's new chief marketing officer Leslie Berland will help fix Twitter's biggest problem, which is user growth, Cramer said. Will Twitter's (TWTR - Get Report) hiring of new chief marketing officer Leslie Berland, a former American Express (AXP - Get Report) executive, help the company's biggest woes? Not necessarily, according to TheStreet's Jim Cramer, co-manager of the Action Alerts PLUS portfolio. Although Berland may indeed bring some much-needed help to the executive suite at Twitter, she's not likely going to change the company's main problem: User growth. User growth is plateauing, Cramer said. So unless Berland can come up with a new on-boarding process to make it easier for new users to adapt to the current platform, that metric is unlikely to improve. This is not Facebook (FB - Get Report) , he added, explaining that new users find Twitter too hard to use and too complicated to get started. The result has led to slowing user growth, and thus, a falling stock price. So is it time to buy? Although Cramer owns a "very small" position of Twitter in the Action Alerts PLUS portfolio, he cautioned investors to avoid the stock at the moment. While shares will eventually get too cheap -- possibly warranting a takeover -- the fundamentals for Twitter are still in decline, making it too hard for Cramer to recommend. The recent management turmoil at Twitter also makes the stock daunting to own, he concluded. At the time of publication, Cramer's Action Alerts PLUS had a long position in FB and TWTR.